An unhappy princess makes for an unhappy kingdom. Ban wedgies with these No Ride Up Low Rise Briefs. Made from 100% ultra-soft cotton for all day comfort. Soft, fabric covered leg bands won’t pinch skin. Low Rise briefs offer full coverage so won’t “peek” above pants. 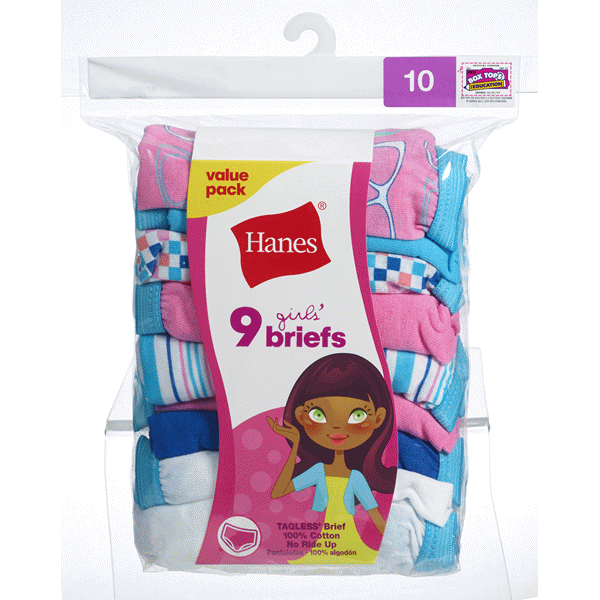 Assorted 9-pack can include solids, prints or a combination of both.